Mercedes has launched two new variants of the AMG GT range. Prices fortheAMG GT R start from Rs 2.23 crore while the AMG GT Roadster begins from Rs 2.19 crore (ex-showroom, India). The AMG GT R is a performance-focused iteration of the GT S while the GT Roadster is a drop-top cruiser which is neighbour-friendly. Both use a4.0-litre V8 from the GT S, but the R makes 585PS of power and 700Nm of torque whereas the Roadster produces476PS of power and 630Nm of torque. Both come mated to a dual-clutch 7-speed auto transmission but the one in the R has been fine-tuned for performance. More details of the two cars here. Mercedes-Benz AMG GT prices start at Rs. 2.45 crore for petrol and goes upto Rs. 2.76 crore. Mercedes-Benz AMG GT is available in 3 variants and 9 colours. The claimed ARAI mileage for the Mercedes-Benz AMG GT petrol is 12 kmpl. The stylish AMG GT S goes up against established rivals like the Porsche 911 and Jaguar F-Type backed by a smart design, a potent engine and agile handling. Priced at whopping Rs 2.16 - 2.31 crore (ex-showroom, Delhi), Mercedes Benz AMG GT is undoubtedly one of the most stylish and performance oriented Mercedes in India. The AMG GT is available in total 3 variants and features long bonnet, truncated rear, chunky Alloy wheels, low centre of gravity, and dropping roof line. Under the Hood, the AMG GT comes powered by a 4.0-liter V8 twin turbocharged petrol engine producing the performance output in the range of 470-576 bhp and 630-700 Nm, all mated to an automatic transmission. 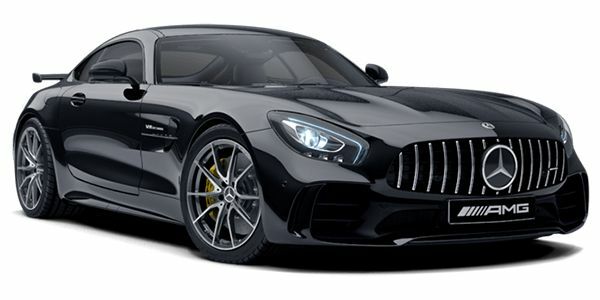 In terms of safety features, Mercedes has equipped the AMG GT range with the driver, passenger, and side front airbags, traction control system, electronic stability program, and Ant- Lock Braking System with electronic brake force distribution. In terms of competition, the AMG GT is taking on the likes of Nissan GT-R, Audi R8, Audi TT Lamborghini Huracan, and Porsche 911 among others.